The Colorado House of Representatives has passed a bill allowing Coloradans to collect water in rain barrels . . . with restrictions of course. HB 15‑1259 Residential Precipitation Collection Rain Barrels. Colorado’s unique system of water rights is called a “prior appropriation” or “first-in-time, first-in-right” system. Whoever first takes water from a stream (or aquifer) and puts that water to some beneficial use has the first right to that amount of water from that particular stream system. Prior appropriation means that the owner of that first right must be satisfied before anyone else can take water from the stream system. For example, if a farmer was the first to take water from a stream in Jefferson County in 1850 and used that water for irrigation, his heirs still own the farmer’s right to the quantity of water the farmer took from the stream. If a ski resort now wants to take water to make snow they have to honor the farmer’s right. Even if the ski resort is upstream of the farm, on a river the stream feeds into, the resort cannot take so much water that the farmer’s water right is impeded. Water rights apply to stream systems as a whole, including all stream and rivers that empty into or flow from the stream in question. CRS 37-82-101 Waters of natural surface streams subject to appropriation. At this point in time all, or nearly all, of the water in Colorado is already appropriated, so if an energy company wants water for energy development, it must buy water rights from a current possessor. Thus, the farmer’s heirs’ could sell their rights, or a portion thereof, to an energy company. The energy company would then own a right to the amount of water it purchased with a priority date of 1850. The energy company now has the first right to the water. Prior appropriations affect rainwater harvesting because all water that is appropriated originally fell from the sky as rain or snow. Even water in an aquifer originally fell as precipitation. If, rather than buying rights from the farmer’s heirs, the energy company collects rainwater for its own use, that collection would deprive the heirs of their first-in-time right to the same water. Such illegal collection of rainwater would subject the energy company to civil fines and penalties. Keep in mind, however, that everyone is entitled to the rain and snow that falls on their property, as long as the precipitation percolates into the ground. Under the prior appropriation system, rainwater that falls on a roof can run off and irrigate the property in real time, but it cannot be collected. On March 23, 2015, the Colorado House passed a bill allowing rain water from a residential roof to be collected for future use. HB 15‑1259. Of course, there are restrictions: A residential property of four or fewer units may have no more than two 110 gallon barrels and the water can only be used for outdoor purposes. So, this bill really only allows temporary storage of water. The water must eventually end up in the same place it would have been if not collected. But, if it passes the Senate and doesn’t get thrown out in court, it’s a start. A bill to allow Colorado property owners the right to utilize ‘graywater’ has been sent to Govenor Hickenlooper for his signature. The use of graywater will protect Colorado’s vital water resources, help property owners and municipalities cut costs, and aid property owners in green building certification. Graywater generally refers to water that is drained from lavatories (bathroom sinks), baths, showers, washing machines, and sinks. Water drained from kitchen sinks, water closets (toilets), urinals, and dishwashers is generally called ‘blackwater’. Graywater can be used flushing toilets and urinals and for certain types of irrigation. Primarily graywater is used for subsurface watering of trees and plants. In House Bill 13‑1044, the legislature has defined graywater as discharge from bathroom and laundry room sinks, bathtubs, showers, laundry machines, and other sources that may be authorized by rule. The legislature has determined that the wastewater from toilets, urinals, kitchen sinks, dishwashers, and non-laundry utility sinks is not graywater. HB 13‑1044. A primary savings from the use of graywater is lower water use. Water currently used for irrigation is fresh/treated, water bought and paid for from a municipal water system. Such water can be prohibitively expensive for users where municipalities have invoked drought condition progressive pricing. A property owner can save money on his bill by reusing water that he has already paid for. Graywater can also save municipalities money. Water discharged from a home or commercial building must be treated before returning it to use. Graywater used for irrigation rather than sent to a treatment plant can reduce municipal costs. Municipalities may be able to postpone or avoid the building of new treatment plants thanks to reduced treatment needs. Graywater can be used for flushing toilets and for irrigation. However, graywater is not generally usable directly from the fixture. It must be collected and treated. Graywater collection will require a separate plumbing system in a home or commercial building. Normally, all wastewater, regardless of its origin, is discharged through a single piping system. A separate system of piping and holding tanks will be required. You’ll need settling and filtering systems. The complexity and cost of your pumping and piping system will depend on the size and configuration or your building and your planned uses for gratwater. Graywater use is approved by LEED for obtaining certification as a green building. LEED certification is based on a point system for constructing and operating buildings in an environmentally friendly manner. Points can be awarded for the up-front reduction in water use and for the reduction in water treatment. Water in Colorado is appropriated on a first-come first-served basis. All of the water in Colorado streams and rivers is already owned by someone, including a provision for water staying in the river for fish and plant life. If you want to use water for some new purpose, you have to buy a right to the water from a current owner of water rights. For example, if a ski resort wants water for snowmaking, it cannot just pump water from a river and use it. The resort must buy a right to that water from a farmer or other water right owner. Water appropriations are based on net water use. An appropriation includes not only taking water from, but also return of water to the system. A building owner’s water use can be calculated by subtracting the amount of water he sends to a treatment plant from the fresh water taken into his building. Thus, reusing water would lessen the owner’s return water flow, increasing his net water use and possibly exceeding his appropriation. graywater is not to be considered ‘reuse’ as defined under Colorado’s water law. Congratulations to the Colorado legislature for taking this important step to conserve our natural resources. 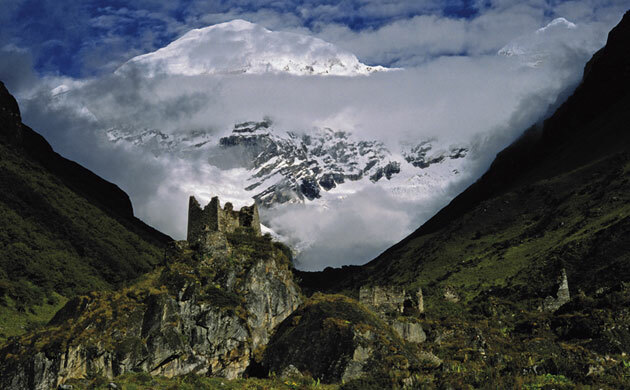 The Guardian Newspaper has posted a list of 100 places to see before they disappear. The Guardian’s list spans from major cities to outlands all over the world. Chicago can be beautiful in the right setting. The Cedars of Lebanon are just beautiful. The dunes of Namibia are a bit spooky. You name it; this world is really pretty cool. But, all this beauty hinges on our relationship with the planet. A great example presented on the Guardian’s collection of 16 sites is Timbuktu, Mali. We all know of Timbuktu, but most of us couldn’t find Mali on a map. Timbuktu was once a great trading center on the edge of the Sahara until the desert closed in on it. The city is, very unfortunately, in the international news lately. Al-Qaeda linked insurgents have destroyed several centuries old burial sites and libraries on the UNESCO world heritage list. Perhaps worst of all, they destroyed what the people of Timbuktu call the “end of the world gate. . . . In legend, it is said that the main gate of Sidi Yahya mosque will not be openeduntil the last day (of the world).” The insurgents claim that the sites are idolatrous and un-islamic. It’s hard to really care what the insurgents think when they destroy whole cultures. Whatever the cause of the destruction of beauty we can stop it. Must the Maldives Islands sink below the rising sea? No. Must the Temples of Angkor Wat succumb to pollution? No. But, it’s up to us to come together and prevent our own destruction. The Green Building movement is crucial to protecting the world’s heritage. Just remember that any time we build green we’re protecting the whole of society. Energy is not monolithic. Most discussions of energy policy, however, treat energy as if it were one product, where a single solution would solve the world's energy needs. This misunderstanding leaves us with an obvious quandary: We're a long way from designing an airplane that can fly on electricity and we may never want to fly a nuclear airplane. Wind power is just not going to fly an airplane. We need to analyze energy through several different concepts. Energy used in a home is very different from energy used in an automobile. Each energy use has its own requirements and each energy source has its own characteristics. Each energy need should be considered on its own, not merely lumped into the one-dimensional term "energy." Dimensions to be considered include the requirements for each use of energy including portability, explosivity, and heat. Use refers to the features of energy needed to produce a desired outcome. Portability refers to the ease moving energy from one point to another. Explosivity is energy converted per unit of time; like a bomb. Regardless of the temperature at which a fuel burns, an airplane requires an explosive fuel. Heat is the temperature produced by the fuel; like a fire. A steel plant needs fuel that burns at a high temperature, rather than explosivity. The difference between explosivity and heat is the time frame in which energy is released. An explosive substance releases energy instantaneously. A substance producing heat releases energy over a longer period of time. Petrol for instance will explode when sparked in an internal combustion engine. Coal, on the other hand, burns over time. Another often overlooked and critical consideration is the difference between energy sources and energy conveyance. Energy sources are the fossil fuels and renewable sources that generate energy. Energy conveyors are the methods by which energy is moved from the source to its final use. Each use of energy is different. Energy uses in a home are primarily low to medium voltage electrical appliances, hot water heating, and heating for comfort. More and more frequently, alternating current is converted to low voltage direct current for use in electronic devices such as televisions and computers. An office or commercial building is similar to a home. Energy used in a building requires no portability or explosivity and only needs to produce heat for water and comfort heating. Energy used by an automobile, however, requires explosive power and extreme portability. Heat on the other hand is not necessary for operating an automobile. In fact, it is critical to remove heat from an automobile engine. Heavy manufacturing, i.e. in a steel plant, requires no portability and generally no explosive power but extremely high heat. An energy source is the substance or fundamental force from which energy is derived. Oil, natural gas, coal, and uranium represent substances from which we produce energy. Wind, wave, and solar power are fundamental forces from which we derive energy. Energy conveyors are how we actually move energy from place to place as opposed to methods to conveyance fuel. Electricity is an energy conveyance method rather than a source. Energy is produced by burning coal, for example, and that energy is transformed, conveyed, and used as electricity. In fact, oil, gas, coal, and nuclear fuel produce electricity in the same way. Each is used to heat water to make high pressure steam which turns a turbine connected to an electrical generator. Hydro power uses water pressure, or weight, to turn the turbine directly. Wind uses the blades of the wind turbine to turn an electrical generator directly. Solar power can produce electricity in different ways. A photovoltaic cell makes electricity through subatomic stimulation of electrons. A solar tower uses mirrors to concentrate sunlight and heat water to make steam, similar to the way fossil fuels are used to create electricity. Wave power can also be harnessed in different ways. One method is setting install a turbine in a river or on shore, using tides to turn a turbine. Another is to use the motion of the waves to move a magnetic or electrical coil to generate electricity. Energy sources and energy conveyors sometimes intertwine. Coal can be used as an energy source to produce electricity, but it can also be used directly to create heat. Wind is not a conveyor because we can only use the wind to create electricity which conveys the energy for use in our homes, buildings, and vehicles. Although hydrogen has been promoted as an energy source, it is important to understand that hydrogen can only be used for energy conveyance. Hydrogen is not an energy source by itself because it cannot be mined or captured; it must be produced using an energy source. Hydrogen generally exists as a component of a molecule in conjunction with other elements, most commonly in H(2)O for instance. According the U.S. Department of Energy, 95 percent of hydrogen currently used is produced by the burning of natural gas. (http://fossil.energy.gov/programs/fuels/hydrogen/currenttechnology.html). Best practices currently require at least five times the energy for production of each unit of hydrogen then the hydrogen will deliver when used. The cheapest method of production currently available would make hydrogen about four times as expensive as gasoline at the pump. Id. A hydrogen fuel cell vehicle uses natural gas or some other energy source to produce hydrogen and the hydrogen for energy conveyance. This distinction between sources and conveyors is critical. The Bush administration promoted the "hydrogen revolution," but few people realized that the administration was referring to hydrogen produced by the burning of fossil fuels. Hydrogen produced thru wind, wave, or solar power, on the other hand would be a partial solution to our energy needs. Ethanol would likely be considered to be a conveyor. The energy source is corn, sugar cane, or grass which is processed into a liquid that is carried and burned at the energy use. Again, the energy source is not the ethanol itself, but rather the sun, fertilizers, and power put into growing the crops. Other critical issues concerning ethanol are land taken out of the production of food, forests cut down to make room for crops, and whether the energy produced by ethanol significantly outweighs the energy used to produce it. It's true; we will need oil for a long time still. It's not that we need oil or petrol to fuel our cars, but we will need petroleum to produce aviation fuel. An airplane requires a fuel with extreme portability and high explosivity. We cannot fly an airplane on coal and we wouldn't want to fly a nuclear powered jet. So, we need a more complex discussion of energy. We need to ask ourselves what we use energy for, what requirements each use has, and how we can best generate and convey energy for that particular purpose. No one solution exists. We will need certain levels of each energy source and conveyors in order to fuel our future. Only when we examine the sources, conveyors, and uses of energy as a diverse system can we plan for an energy future. Here, from Skidmore Owings and Merrill is one of the best building energy ideas I've seen in years. 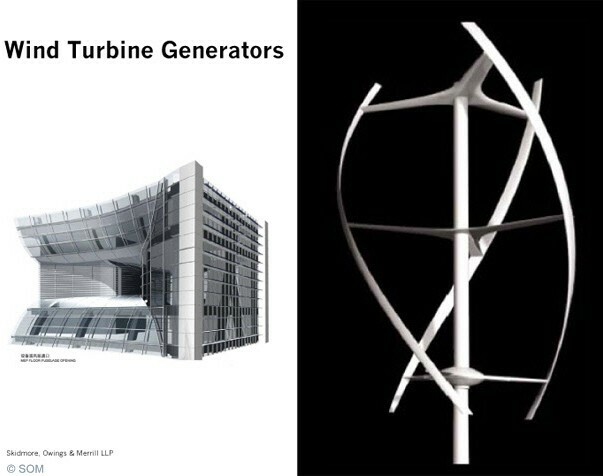 Any number of buildings have begun to incorporate vertical wind turbines, but SOM has pushed the idea a huge leap forward. The Pearl River Tower in Guangzhou, China will locate the wind turbine in a venturi. Just a small breeze will produce energy due to the increased wind speed created by the venture. A strong wind will produce a lot of energy. At the altitude the venturis are located, the Pearl River Tower should expect to receive a great deal of wind energy most of the time. 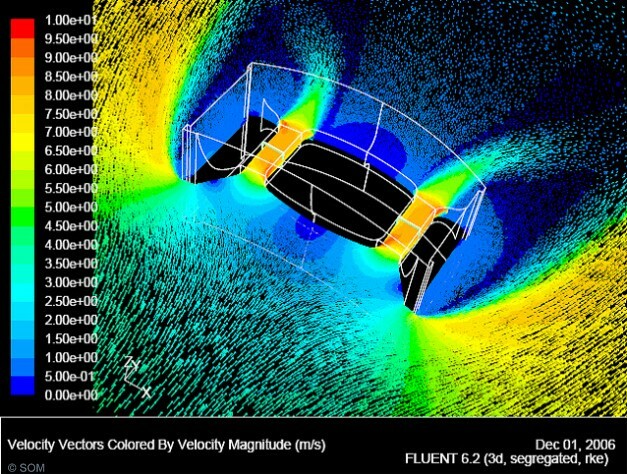 The venturis may even improve structural stability by allowing strong winds to pass through the building instead of inflicting tipping forces on it. In addition to the venturis, the building incorporates other green energy tools including solar panels, a double skin curtain wall, chilled ceiling systems, under floor ventilation air systems, and daylight harvesting. From an HVAC perspective, LEED certification has made good HVAC design and project management practices official doctrine. Rather than simply doing good work as a matter of pride, engineers can be now rewarded for their good work. Now that LEED certification has become a norm, engineers that already followed good design practices can easily market themselves as Green. Meanwhile others need to catch up. Before LEED came into being, I worked for a very good design firm called Circle Design Group in Indianapolis. Circle Design Group designed energy efficient systems that were easy to operate, maintain, and modify. Before the term came into vogue, at the end of each project, the firm performed full commissioning of its systems. It was just the right thing to do. Now, engineers can be paid extra for commissioning. The great accomplishment of LEED is that the engineering practices of firms like Circle Design Group are not just a good idea, they are mandated. Most new buildings seek LEED certification. To receive LEED certification, a building must meet good engineering practices. It must be energy efficient, clean, healthy, and easy to operate, maintain, and upgrade. Engineers like Circle Design Group haven’t needed to change their practices, but merely document their good work to meet the standard. Let me introduce myself and explain why I think this blawg is important. I've been an attorney in Denver Colorado since 2002. I received a JD and an LLM in International Environmental and Natural Resources Law and Policy from the University of Denver. While I operate a general service law office, I try to focus on construction and environmental law issues. While in school, I took my LLM in an unusual direction, focusing on the relation between natural resources and human rights. I spent a summer working with legal aid clinics in Bosnia in the summer of 2001. I received my BS from the University of Illinois in Mechanical Engineering in 1984 and an MBA from the U of I in 1990. After graduating from Illinois, I designed building mechanical systems for 15 years. Most importantly, I worked with the Circle Design Group in Indianapolis Indiana. Circle Design set a high standard for its building systems. We designed green buildings before the term came into common parlance, not even to help the environment, but because they are cost effective. One of my favorite designs used the cooling load from the building for re-heat energy rather than simply discharging it to atmosphere. Unlike in most buildings, according to the design, the building owner rarely turns on the boilers in the summer months. This blawg will hopefully deal with the intersection between building design and the law. Right now building designers certify a building as Green. But what if the building doesn't live up to its hype? A building owner pays more up front for a Green Building so that he can not only save on operating costs, but also charge higher rents. If the building doesn't actually meet the standard (for example: LEED Gold or Platinum) claimed by the building owner, this could open the owner to litigation by his tenants. Such litigation could then open the designers and contractors to litigation by the building owner. It is important to 'get it right' the first time. As designers you need to be sure not only that you've designed a Green Building, but that the contractors have constructed what you designed, and that the building owner understands how to operate the building to meet the standard you have set. Contact Circle Law to set up an appointment.